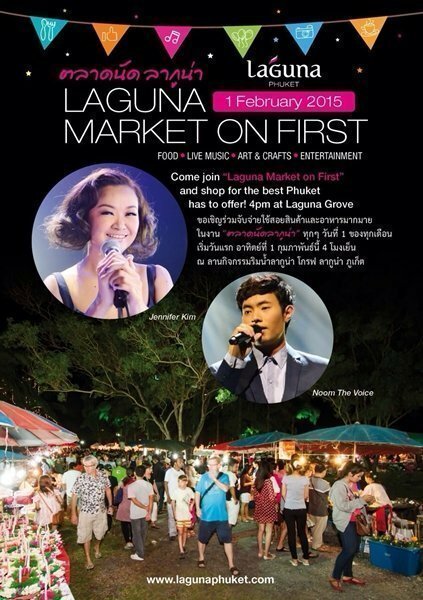 Come join “Laguna Market on First” and shop for best Phuket has to offer! On the of everymonth, Laguna Phuket invities you to experience “Laguna Market on First” in the park at Laguna Grove by the beautiful lagoon.Enjoy a variety of goods from food stalls, clothing , home decor, arts and crafts, music and performances, dinnig area and much much more! Staring Sunday 1st Febyuary at 4pm for the first time, with opening ceremony and mini-concerts by Jennifer Kim and Noom The Voice! Don’t miss “Laguna Market on First” every month at Laguna Grove !